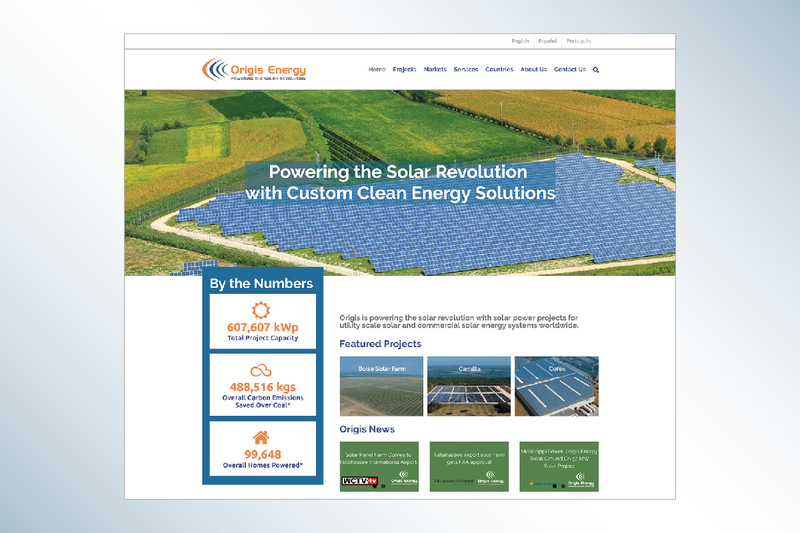 Origis Energy, an international developer and EPC firm for commercial and utility-scale solar projects, works with the collaborating team of Identity³ and Corbae Creative to develop marketing materials that portray the company’s personality while showcasing their strong experience they bring to new projects. 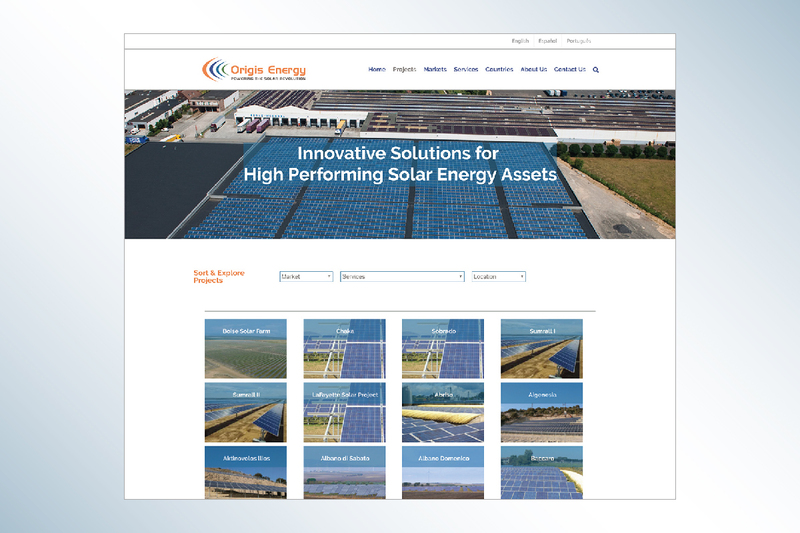 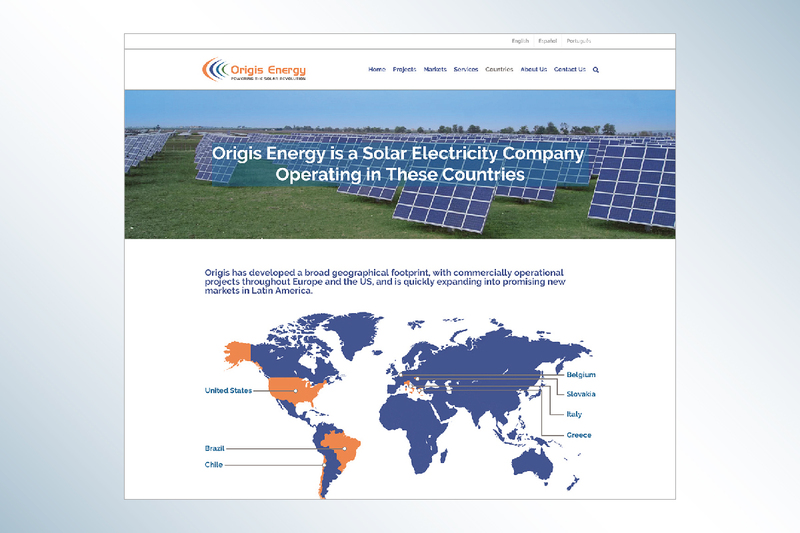 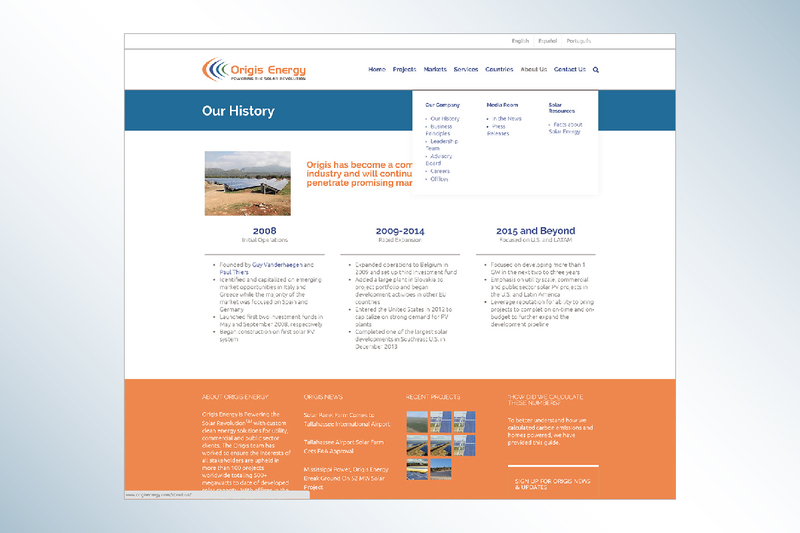 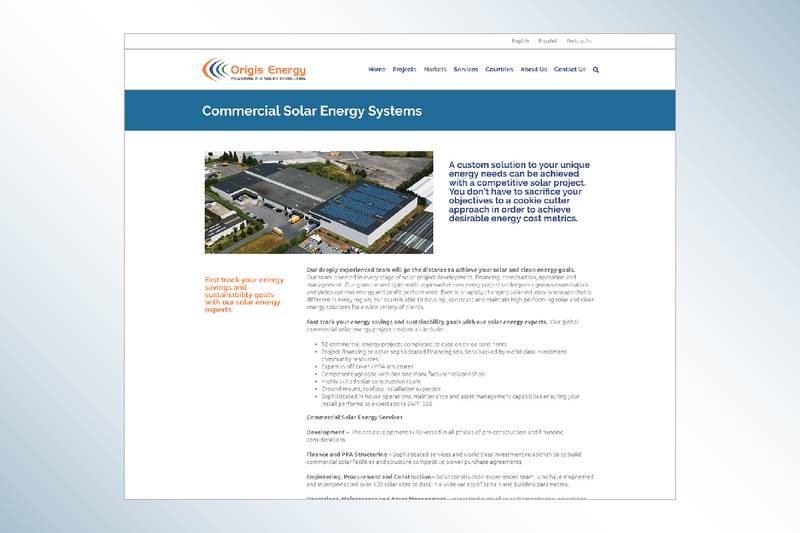 The new Origis Energy web site articulates the results of in-depth company and customer research in a straightforward, easy-to-understand fashion. 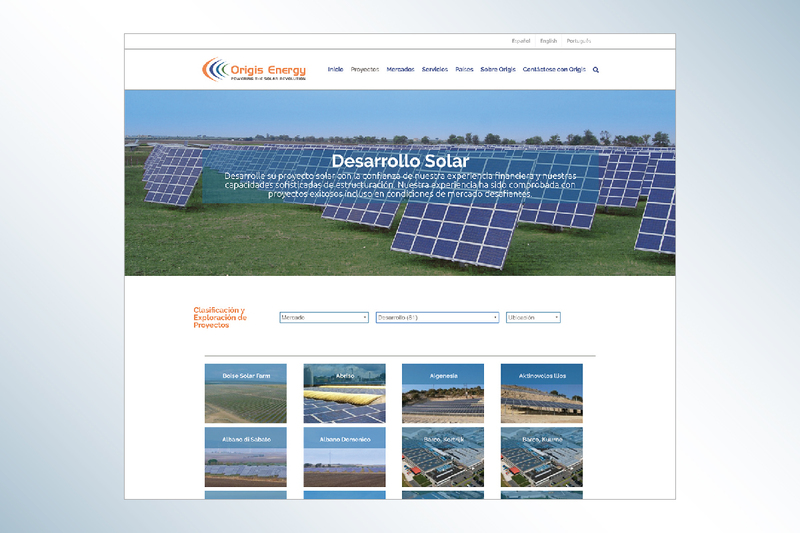 Programming provided by Revelate, LLC.